Managing Partner of the Law Office, Ms. Daniela Calin graduated from The Faculty of Juridical and Administrative Sciences at “Dimitrie Cantemir” Christian University, in 2000. 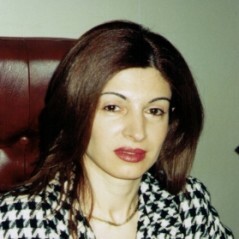 In 2001, she became member at the Bar Association Bucharest. Now she attends master courses of “Business Law” at the same Faculty. Ms. Daniela Calin has a remarkable practical experience in all the aspects of the civil and commercial law, as a barrister as well as legal consultancy. Ms. Daniela Calin provides legal consultancy for Romanian clients as well as for foreign ones. She speaks English, French, Italian and Spanish.